A few hundred years ago, Balmaha would have been regarded as an inconsequential staging post on a road to nowhere. 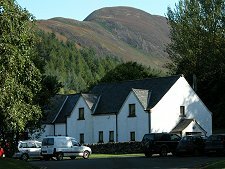 This all changed with the popularising of Loch Lomond in the 1800s and today the village remains a focal point for those visiting Loch Lomond's more attractive eastern shore. 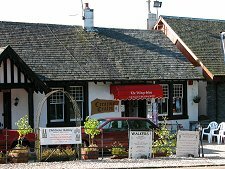 The name Balmaha comes from the Gaelic for St Maha's Place which suggests the village may have ancient origins, perhaps as a hermit's residence. After the upsurge in the popularity of Loch Lomond and the Trossachs in the 1800s, Balmaha became a frequent stopping-off point for the steamers which used to ply Loch Lomond. These sadly ceased in the latter part of the 1900s, and Balmaha's steamer pier disappeared in 1971. 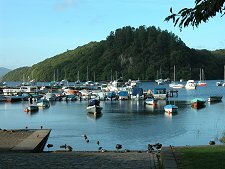 Today's Balmaha is a bustling, often very busy place unless you catch it out of season. 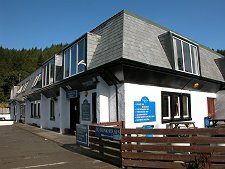 Its piers are home to a wide variety of leisure craft: or you can simply hire a rowing boat and explore nearby Inchcailloch Island. 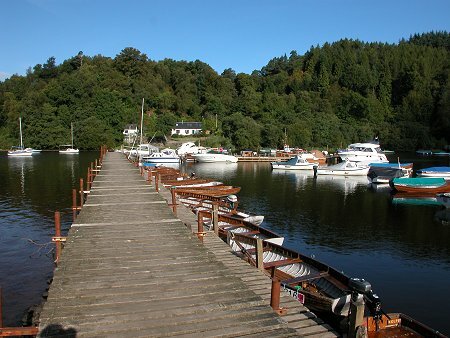 Balmaha is also on the route of two quite separate pilgrim trails. One brings a steady stream of footsore travellers down from Conic Hill, which overlooks the village from the east, as they follow the route of the West Highland Way. 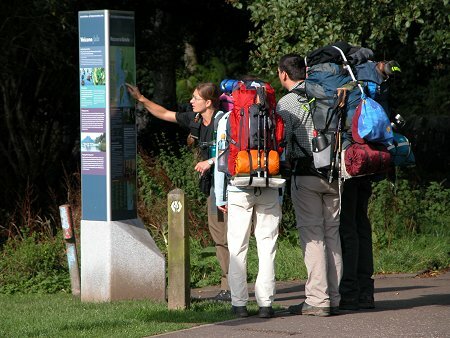 A range of facilities are on offer, some specifically catering for the needs of WHW walkers. The village shops carries signs showing it has stocks of blister plasters, socks, knee and ankle supports, waterproofs, midge repellent, sun cream, maps, guide books and much more. The second group of modern pilgrims passing through Balmaha are en route for the parking place at the foot of Ben Lomond. Ben Lomond is the most southerly Munro. Partly because it is so close to Glasgow, and partly because it is so straightforward, Ben Lomond is also one of the most popular. To get to Ben Lomond you take the road from Drymen that goes through Balmaha. This you follow up the east side of Loch Lomond for almost as far as it goes, to a car park just beyond the Rowardennan Hotel.